The Developing SharePoint Applications guidance helps architects and developers design and build applications that are both flexible and scaleable. It shows developers how to provide IT professionals with the information they need to maintain those applications and diagnose problems when they arise. The two reference implementations illustrate how to solve many of the common challenges developers encounter. One reference implementation addresses basic issues such as creating lists and content types. The other addresses more advanced problems such as how to integrate line of business services, how to create collaboration sites programmatically, and how to customize aspects of publishing and navigation. A library of reusable components helps you adopt techniques used in the reference implementations. The guidance discusses approaches for testing SharePoint applications, such as how to create unit tests, and documents experiences with stress and scale testing one of the reference implementations. SharePoint Work Acceleration Toolkit (SWAT) is a windows based utility aimed at simplifying and accelerating the creation and testing of SharePoint Solutions. With a whole host of time saving capabilities and planned integration with Universal SharePoint Manager 2007, you'll never want to take on SharePoint without it again. 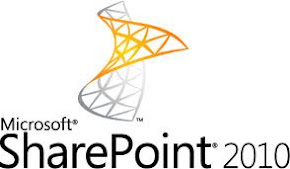 Now you can download the Microsoft SharePoint Products and Technologies Protocol Documentation that is in PDF form. This document contain a White paper on Customizing the Ribbon in Windows SharePoint Services “14”, and Technical Preview for SharePoint Products and Technologies 2010 Managed Reference SDK available.